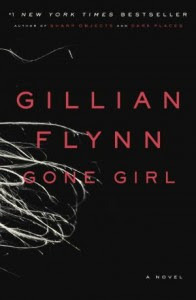 Gone Girl [Book Review] – my books. my life. When Amy Dunne disappears on her 5th wedding anniversary, everyone looks to her husband, Nick, who does seem less concerned and more evasive than an innocent husband should. Told alternatingly through Nick (present-day) and Amy (in diary form), Gone Girl looks at a marriage gone very, very wrong. I bet you read this book faster than me. It took me 2.5 months to finish this one. This is partly because it was an ebook and I stopped reading ebooks as quickly when I went back to work (and was no longer nursing round the clock) and partly because I actually did have a hard time getting into it. I’d heard it was unputdownable. And I agree to an extent. During the final two parts of the book, I had a hard time putting it down and probably read most of it in less than a week. But that first part didn’t pull me in like I expected. Once it gets going, Gone Girl is deliciously twisted and feels like a guilty pleasure. Despite the slow start for me, I”d recommend Gone Girl to anyone looking for an entertaining yet smart read. It totally bored me after she kept throwing in all these ridiculous story lines. BUT, I give her credit for entertainment value along. It WAS entertaining and I had fun talking about it with other bloggers. I still haven’t finished reading this, I set it aside, and I’ve not gotten back to it. Maybe I just need to get farther in, and it will speed up for me. It was definitely entertaining, and I want to check out other books by Flynn, but I was also a little less enamored than everyone else. I wasn’t THAT surprised by anything that happened, and I guessed a good bit of it.